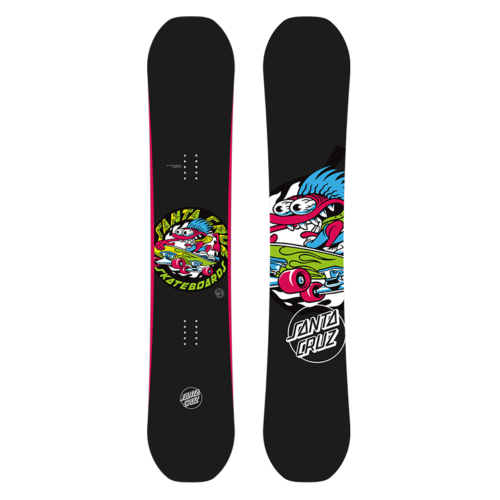 The Power Lyte Jorongo Dot combines the Snap!Rocker with progressive pop and flex/torsion tuning for limitless fun in any terrain. 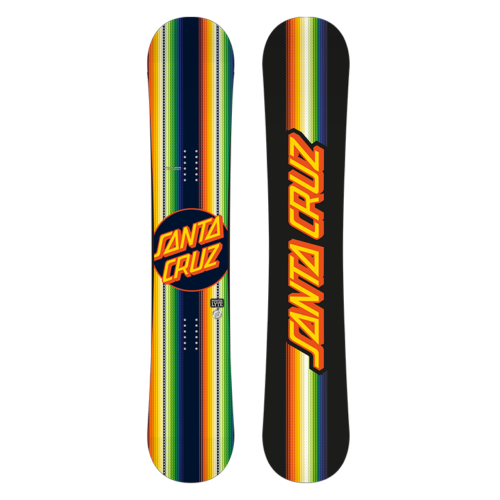 A True Twin Shape that delivers Freeride performance with multi-riding All Mountain attitude. 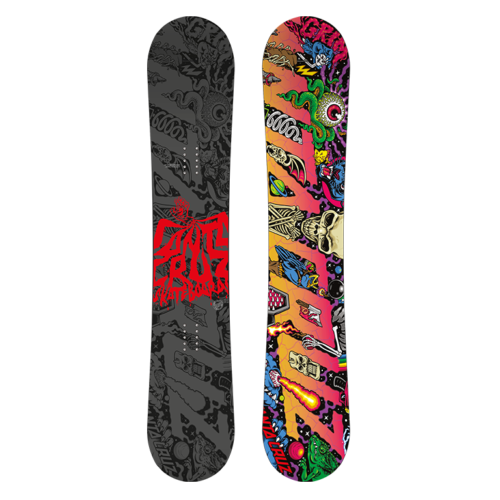 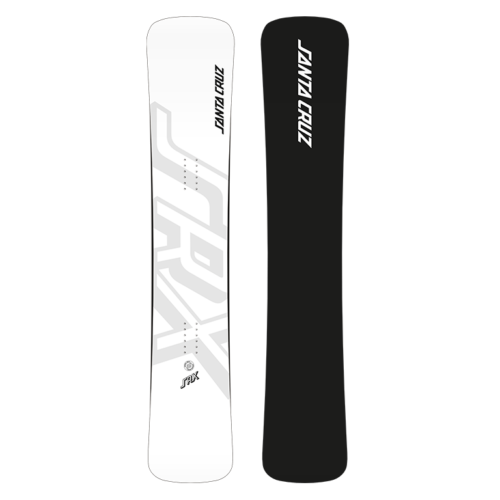 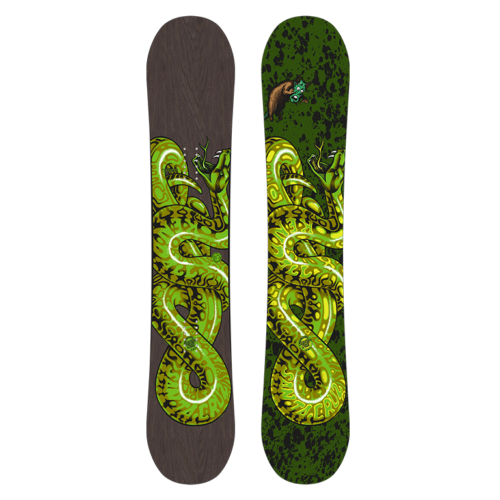 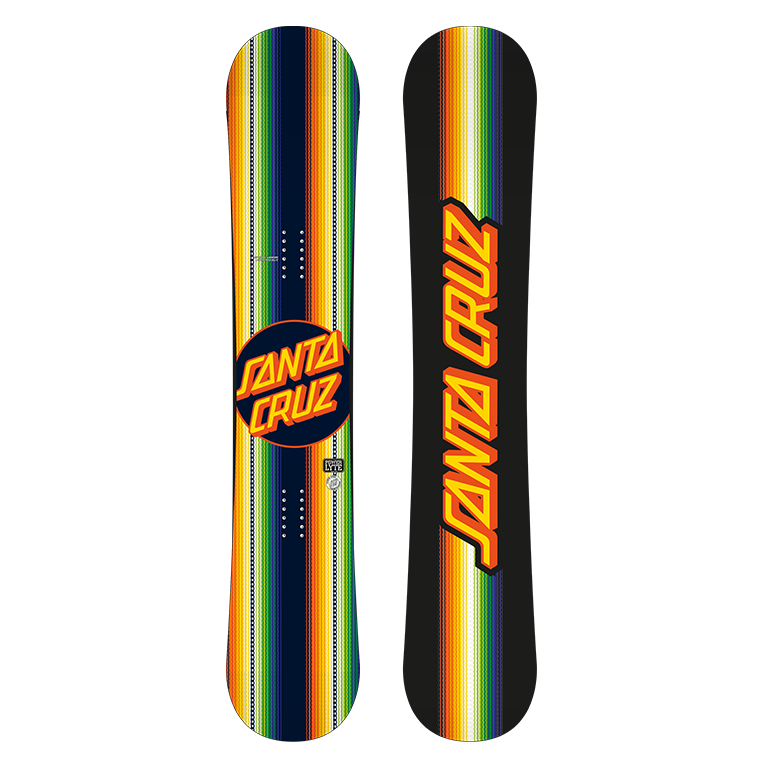 From snow surfing powder straight to hard packed groomers this board will deliver. 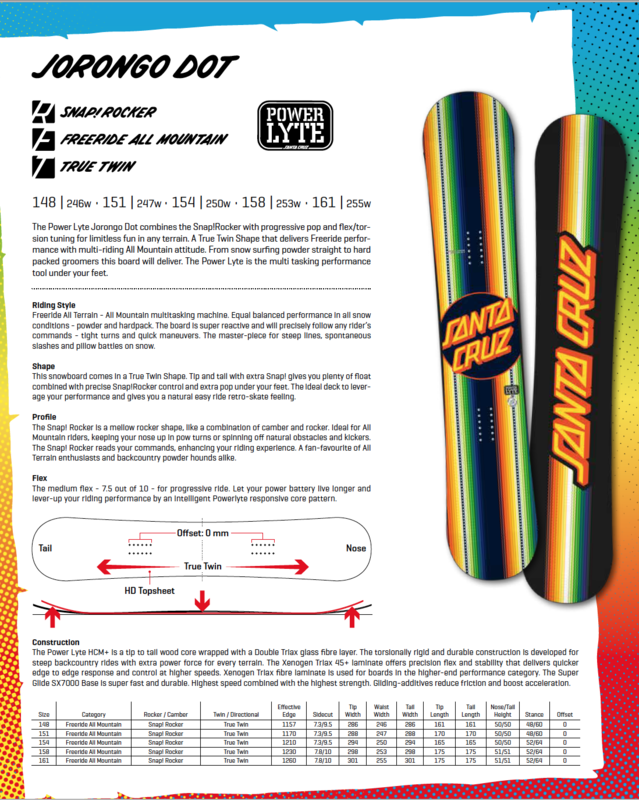 The Power Lyte is the multi tasking performance tool under your feet.